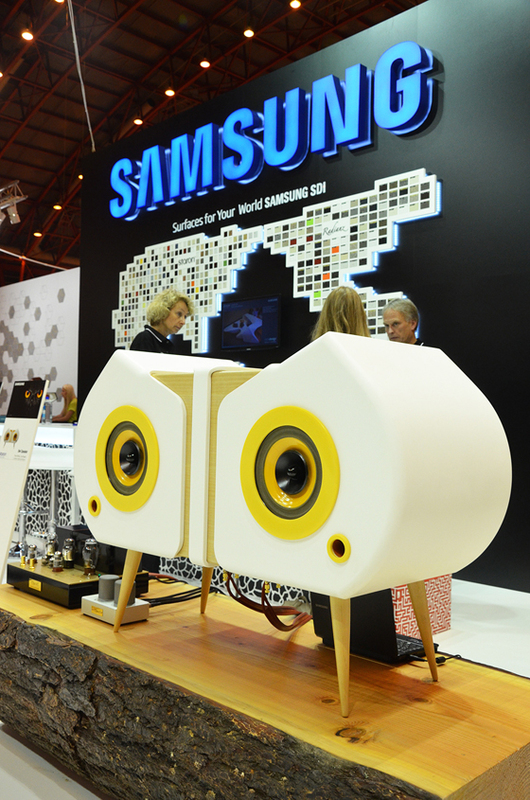 A killer whale, an owl and an armadillo were among the creatures that inspired a collection of furniture and products presented by Samsung SDI Chemical at the recent London Design Festival to demonstrate the versatility of its STARON® solid-surface material. Architonic went along to discuss the new species of products enabled by these innovative surfaces. 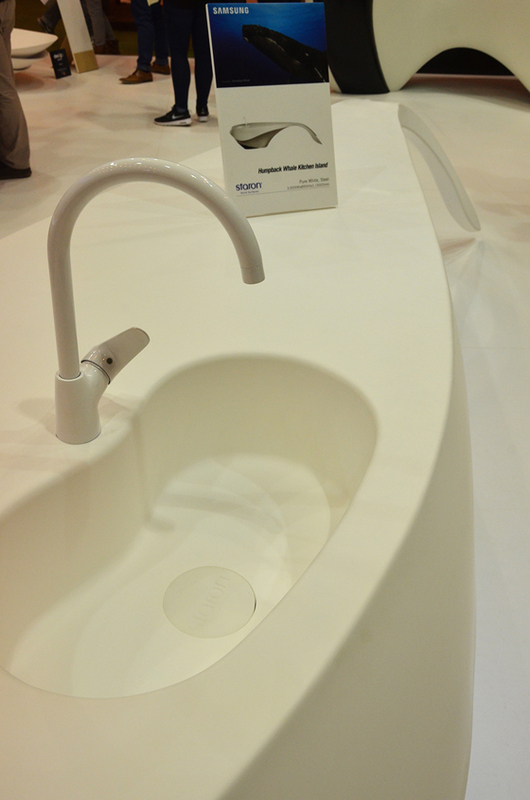 The sight of a kitchen island shaped like a killer whale and of a bathtub with a shell like an armadillo provided an inevitable talking point for visitors to the 100% Design event at Earls Court – the largest exhibition held during London’s annual design week. ‘Our favourite piece @designlondon was this killer whale-inspired kitchen island by @SamsungUK,’ said @BlackLeafEvents on Twitter, while show organisers 100% Design tweeted: ‘Would you sit on this? 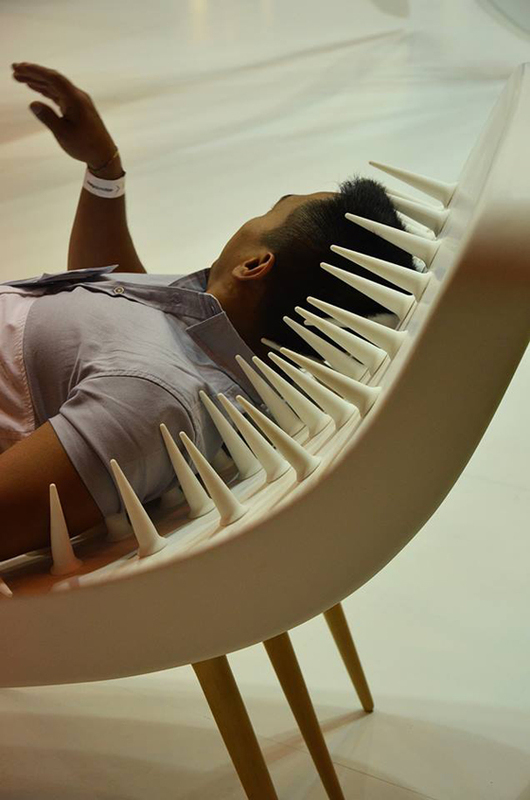 Not as uncomfortable as it looks!’ alongside a photo of the spiky hedgehog sofa. 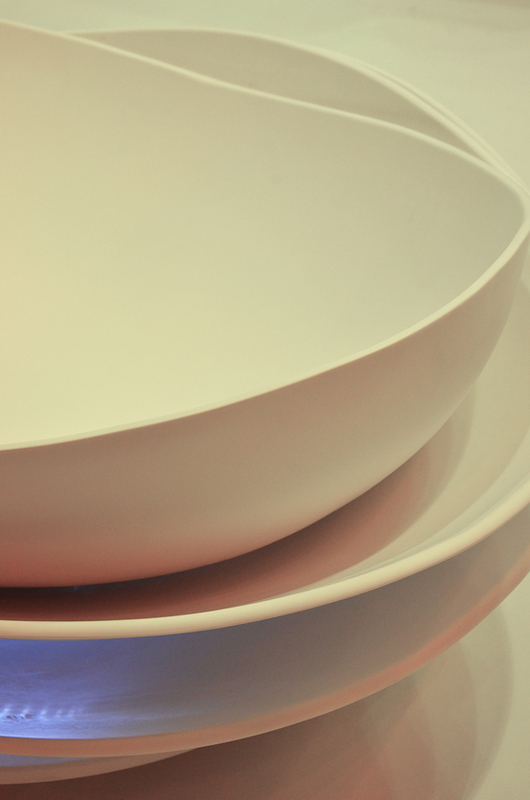 The products were the outcome of a project developed in Korea by Samsung SDI Chemical, which asked designers to draw on the familiar forms found in nature to create pieces that utilised the durable and versatile properties of its acrylic, solid-surface material STARON®. For architects and interior designers, STARON® facilitates the manufacture of the sorts of free-flowing forms popularised by the rapid evolution of parametric design software and computer-controlled milling technology. It is this property that recently attracted architect Zaha Hadid to use it for the interior of Swiss fashion label Heidi.com’s shop in the town of Neuchâtel. 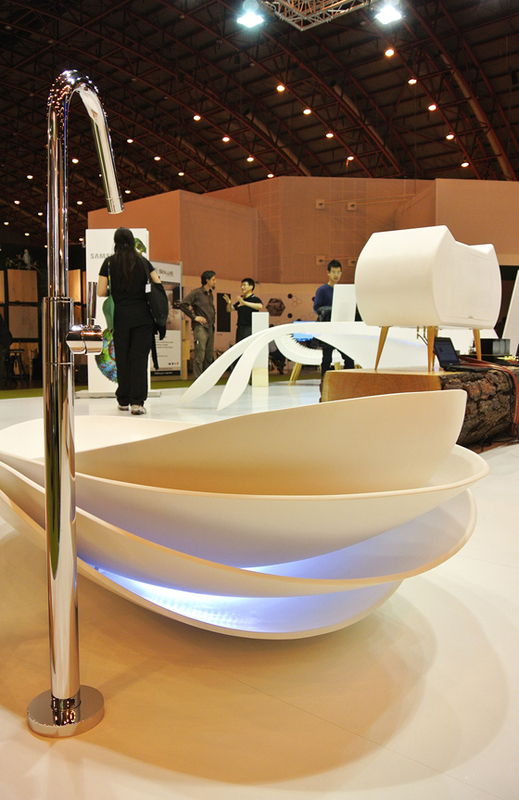 Some of the outcomes of that project were presented at last year’s 100% Design, including curvaceous units typical of Hadid’s fluid aesthetic style that could be combined modularly for use as furniture or displays. Other projects – such as Russian designer Mikhail Belyaev’s Ladia Swing-Sofa with built-in LED lighting and the glossy kitchens produced by Swiss firm Brunner Küchen – also show how STARON® can help designers achieve out-of-the-ordinary solutions that respond to specific aesthetic and functional criteria. The versatility of STARON® has seen its popularity and applications increase steadily since it was first developed by Samsung SDI Chemical in 1993. The material was inspired by natural stone and initially offered an alternative surface for kitchen countertops and bathrooms. It is now being applied in all sorts of architectural and interior scenarios, from building facades to the displays developed for the Korean pavilion at this year’s Venice Architecture Biennale. ‘Every year, we enter new markets, with new products, material combinations and technologies,’ Lammers stated. The firm also manufactures products of its own that can be specified by designers looking for innovative and customisable solutions. ‘We try to give ideas to the designers and we also develop new furniture and products that we can sell, such as doors, bathroom systems and 3D wall-cladding systems,’ added Lammers. 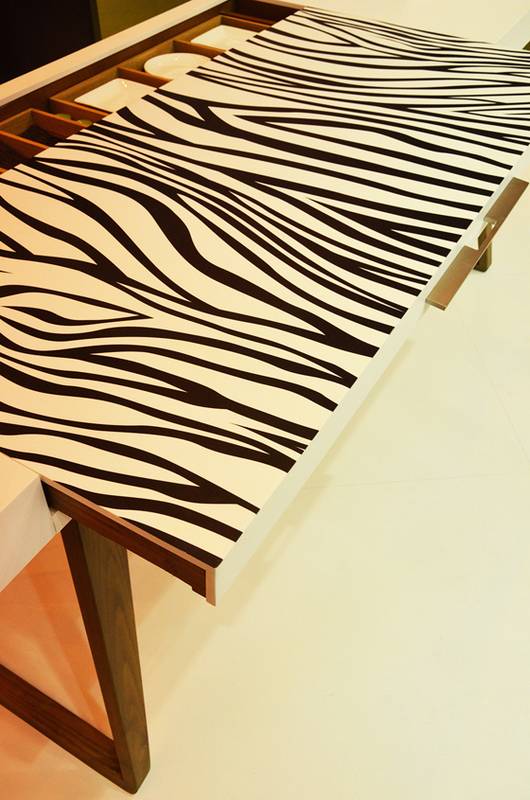 At 100% Design, an additional aesthetic benefit of the material was illustrated by the giraffe bar table and zebra table, both featuring patterns based on animal markings applied using a lithographic printing process. This method allows STARON® surfaces to be customised with patterns or logos, which can also be integrated into the material itself using a high-temperature sublimation printing process, meaning that the surface can be sanded or polished without damaging the design. Even greater impact can be achieved by milling shapes into the surface or utilising the translucent qualities of the material when backlit to create illuminated branding or decoration. 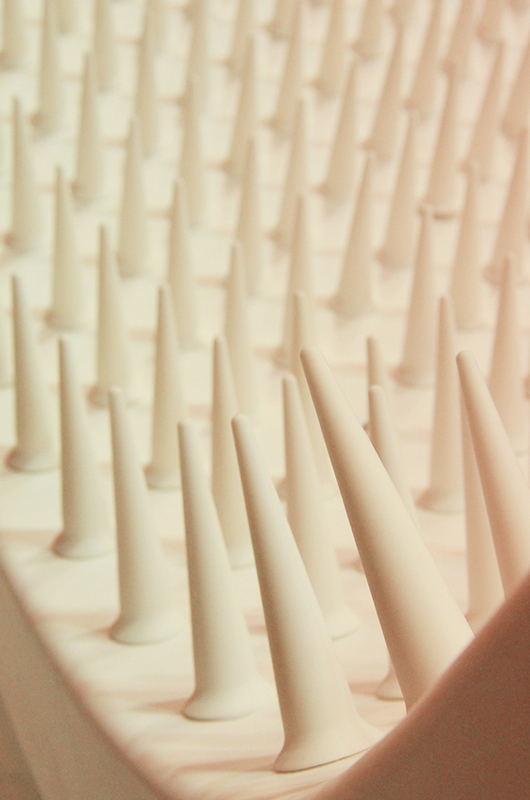 From a practical standpoint, the pieces presented at 100% Design also demonstrated the characteristics that set solid-surface materials apart from their natural counterparts. Those who hadn’t previously encountered STARON® were able to experience first-hand its robust and impermeable surfaces, which are inherently easy to clean and highly resistant to bacterial growth. For this reason, the material has become popular for use in kitchens and bathrooms, as well as in environments such as hospitals and restaurants, where hygiene is crucial. Thanks to the consistent solidity throughout its thickness, STARON® requires no additional finishing or sealants to protect its surface, so dents and scratches can be repaired simply by sanding and repolishing. Sections can be combined using glues of identical colour to create continuous surfaces with no visible joins or gaps, allowing large items or installations to appear as a single piece. All of these properties mean that architects and designers benefit from greater design flexibility and functional performance than would be possible using more conventional materials. It’s this combination of the material with digital technologies that perhaps offers the most exciting vision of the future for STARON®. Over the coming years, the company plans to introduce more products that integrate electronics, with the potential to create interactive surfaces that could play a role in the development of more intelligent and responsive environments. ‘Our aim is to connect design, technology and communication, which could be communication between human beings or between humans and technology,’ said Lammers. ‘In the next few years, you’ll see products combining completely new technologies in ways that even we can’t predict at this stage.’ If the endless inventiveness and beauty of nature can be merged with cutting-edge technologies and the versatility of solid-surface materials, then we could be facing a very exciting future.